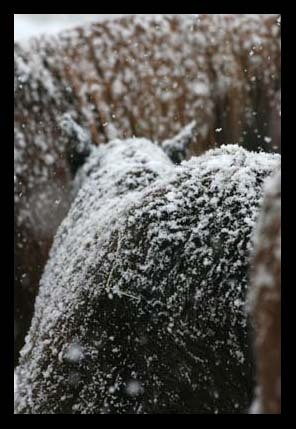 Soft and silent, the snow moved down from the Owyhee mountains this afternoon. 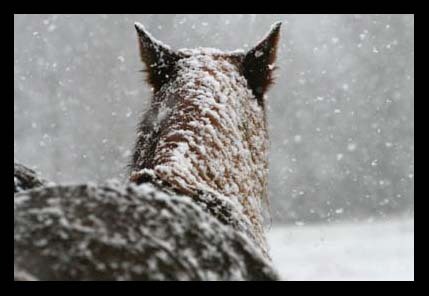 Tiny ice balls at first, then tentative flakes fell, introducing the storm. 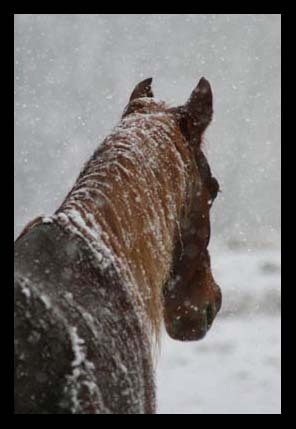 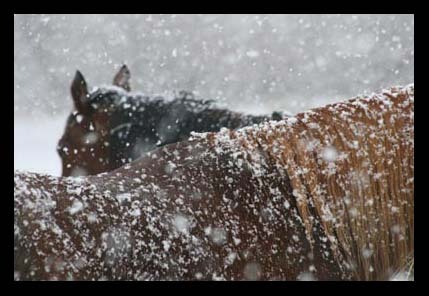 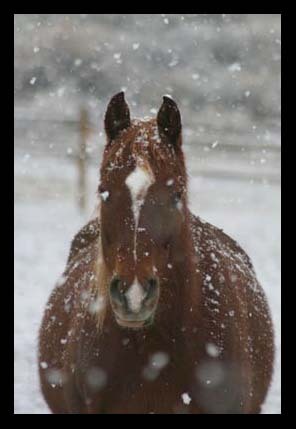 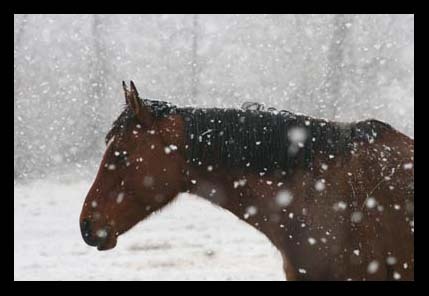 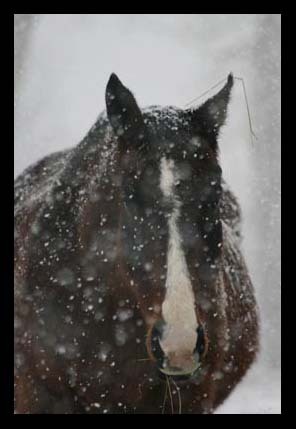 Unequivocal big wet snowballs followed, dropping thick and heavy, quickly blanketing the ground and the horses in a crisp white.